by Robin Duckett and Mary Jane Drummond with Sightlines members past and present. A book for early childhood educators who want to think about some challenging questions. 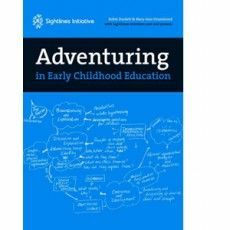 In the explorations reported in this book, a group of early childhood educators and creative practitioners describe their collaborative work. How do we translate our values and beliefs into practice? •When we say we value children as competent, sociable, imaginative and expressive learners, what do we do about it in practice? • When we say we need to be critical, reflective and creative in our practice, how do we realise these aspirations? • When we try to create environments of enquiry, with space for children's fascinations, what will help - or hinder - us in doing so?